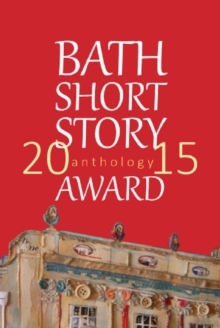 The 2015 BSSA anthology was officially launched in Bath on November 19th, 2015 and is available in print and digital formats. If you live in the UK you can buy the print version via paypal on our anthology page for £8.50 per copy (includes postage and packaging) or if you live elsewhere in the world, via Amazon for £7.99 print (plus p and p) and £4.79 digital.Twenty stories to read from the 2015 award – our winners, shortlisted and some of the longlisted writers. Copies are also available in Bath from Mr B’s Emporium of Books. We’d love some reviews from you. Want to read other winners and selected from previous awards? Digital 2013 anthologies and 2014 anthologies are still available. This entry was posted in News on October 29, 2015 by Editor.